I’m behind on my 12x12x12 projects — for those of you that don’t know, it’s challenge from the Quilt Studio web ring — I’m supposed to be making a 12×12 journal quilt each month. I got Jan and Feb done, but March and April were lost causes. I thought I’d try to do something — anything — today. My theme is the Alphabet. I putzed around for awhile and then decided to do something using the initials of my business name. 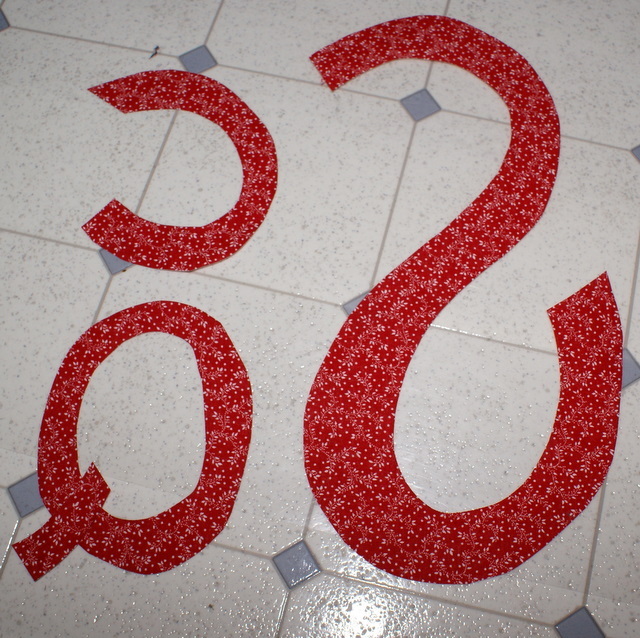 I drew the letters freehand, traced them to fusible web and then fused the web to some fabric. I’m sure you can tell what’s wrong. Ugh. 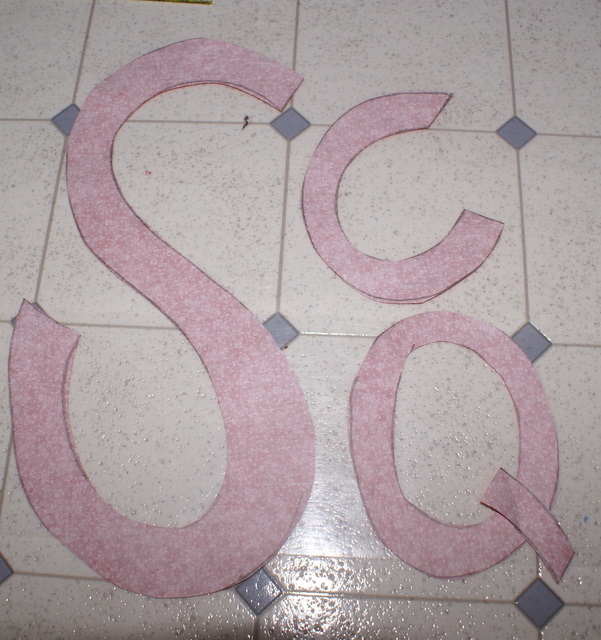 I can’t believe I didn’t reverse the letters before tracing them on the fusible web. Some days I don’t even know why I get out of bed. It’s WIP Wednesday (again). I’m having such a hard time getting my self geared up to do anything. I did load a quilt that I need to finish for a customer. It’s one of those African sun prints. I have already outlined all of the really large leaves, but still need to fill in all of the detail around them. I have a lot of work to do. It’s huge. And now, it’s nearly suppertime, yet again. Life is so daily. Do you suppose my mood is impacted by the fact that we’ve had more than 3 inches of rain since Sunday? I WANT TO SEE THE SUN! Love your new look. I think you’ll like WordPress very much. I would love to say I haven’t done something like this before — but that would be a HUGE lie. Glad to know there are other people out there who are as directionally challenged as I am at times. Hope you get some sun soon! Looks to me like the alphabet results were an intended design element. 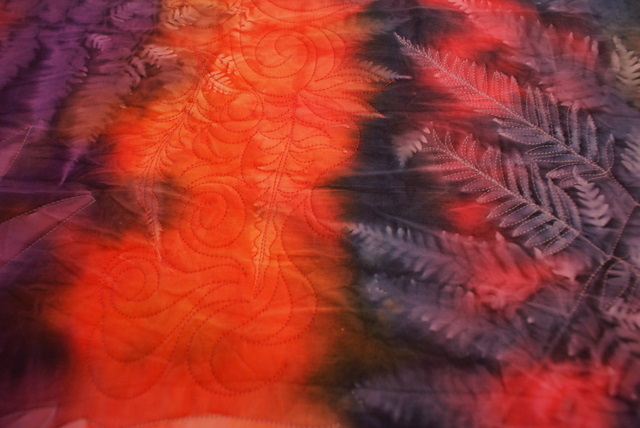 Probably because once I get into my sewing room my brain goes into auto pilot. Not a good thing when I really should be thinking about what I’m doing. Let’s just say that me and my seam ripper are really great friends.